It’s dark, and the house is seemingly quiet. But wait, what was that the sound of footsteps outside the window? Whether it’s an intruder trying to break in or the sound of your imagination playing tricks, having a guard dog on duty offers more than peace of mind. It’s protection from known and unknown threats. 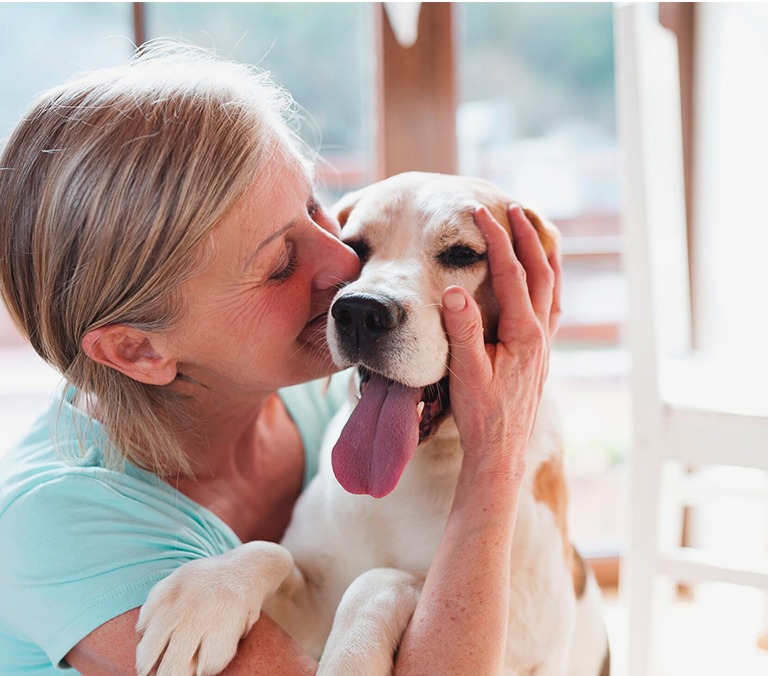 When properly trained, watch dogs offer the loyal companionship of a valued family member. Guard dogs are trained to embrace their natural instincts to protect. Some of the best guard dog breeds have long histories of protecting people, while others are breeds you might not expect. If you’re interested in adopting a dog that can be trained to be a guard dog, these 10 breeds are the best of the best. They all have natural tendencies to defend the people they love and the territory they call home. With the right training, they make reliable guard dogs to keep families safe. 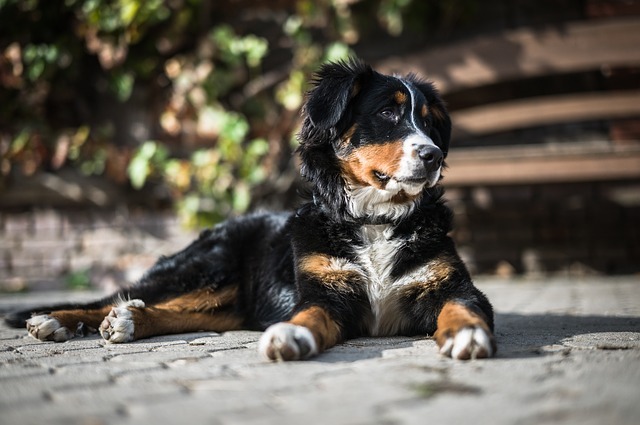 The Bernese Mountain Dog is accustomed to turning heads thanks to its attractive appearance, but it’s much more than a pretty face. 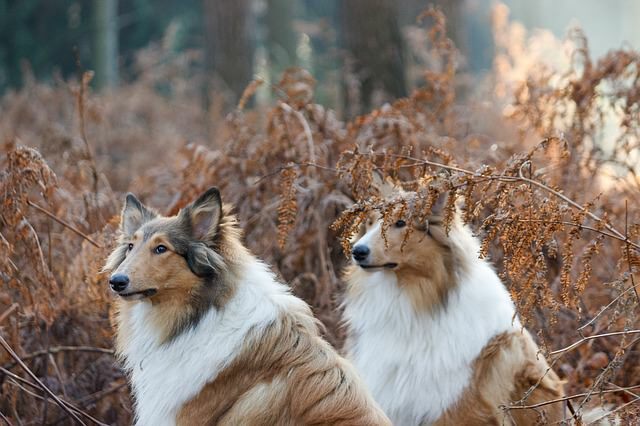 Their tri-colored coats are long and lustrous, and their large size gives them a dignified look. AKC describes them as being intelligent, animated, and gentle, and they thrive in families with children. While not considered overtly aggressive, Berners can be trained to defend their favorite people when the situation calls for it. The Bernese Mountain Dog is generally good-natured and aloof around strangers. Their impressive size and ease of training makes them an intimidating force to an unsuspecting intruder. Their big bark and threatening demeanor is all it takes to keep wrongdoers at bay. The Berner’s strength and intelligence mean if they’re not busy warning off potential threats, they’re looking for another job to do. 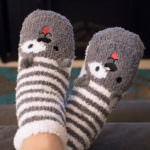 If you don’t want that job to be chewing their way through your shoe collection, it’s a good idea to look into the other activities they’re particularly good at. Cart pulling is a sport they excel at. Historically they’ve been used for everything from delivering mail to collecting empty milk jugs. 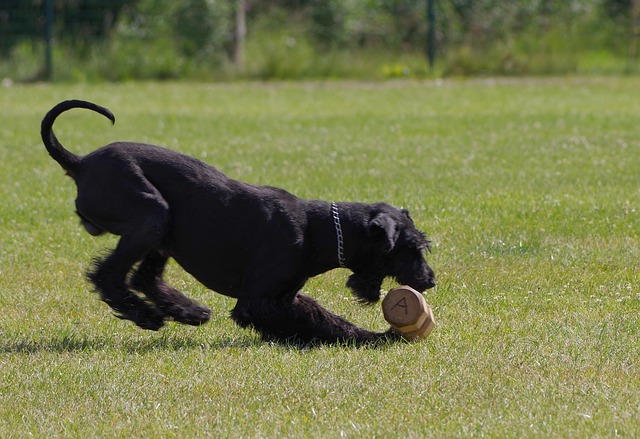 Giant Schnauzers have long since been valued for their strength and imposing figure. In the past, they’ve lived on farms where one dog accomplished the tasks that would normally take several dogs of different breeds. Giant Schnauzers they’ve earned their place as a valuable farmhand. Since then, they’ve gained a reputation for successfully filling many roles. They’re the preferred dog breed for police work in Germany, where they’re trained for search and rescue as well as detection work. 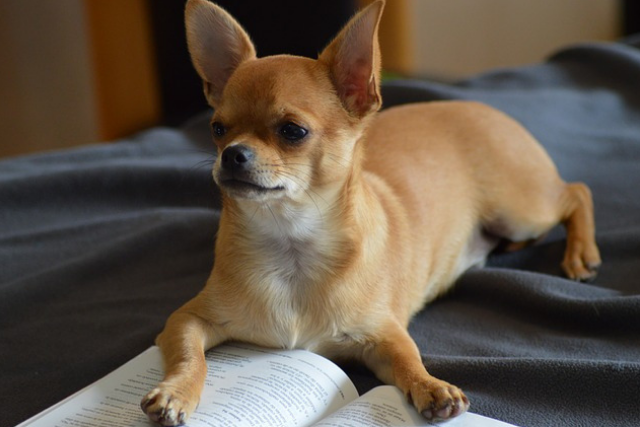 The breed’s natural protectiveness means they’re easily trained as family guard dogs. They’re loyal to the people who treat them right, and if they’re given the right kind of care and attention, they’ll be more than happy to return the favor. The challenge in welcoming a Giant Schanauzer into the family is fulfilling their need for exercise and enrichment. 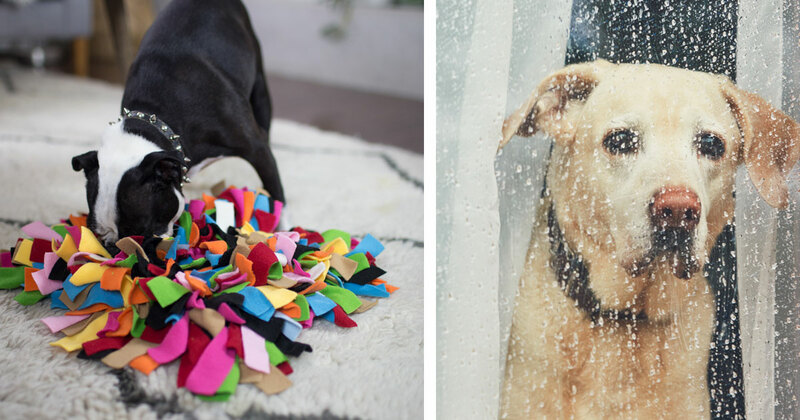 Boredom and poor socialization can cause unwanted behaviors in this large dog breed. There are three types of Schnauzers all considered separate breeds—the mini, standard, and giant. Their size is the only real physical difference, and their name, “schnauzer” refers to their most pronounced physical trait. In German, Giant Schnauzer is “Riesenschnauzer.” “Riesen” literally means giant, herculean monster, and “schnauzer” is the term for walrus mustache. Therefore, the Giant Schnauzer is literally named giant, herculean monster with a walrus mustache. 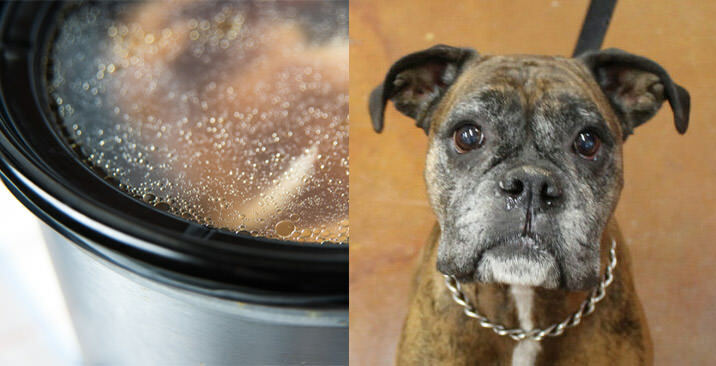 This past year saw the Boxer drop from the tenth most popular dog breed in the U.S. to the eleventh, but they’re still a type of dog families love to have around. They’re considered medium-large dogs with strong limbs and well-developed muscles. 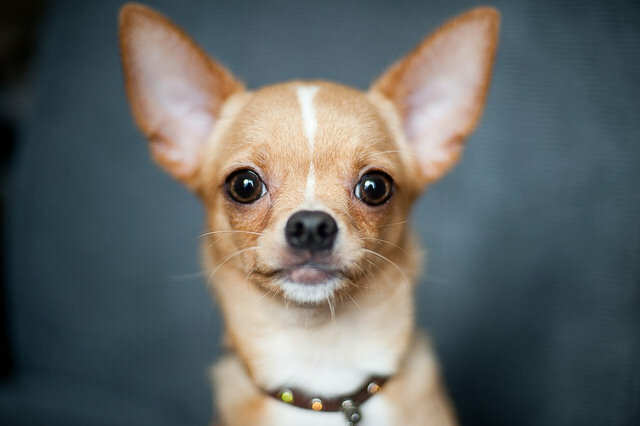 Their short snouts and distinctly shaped heads make them an easy dog to recognize. With a natural protective nature, Boxers do well as guard dogs when they’re properly socialized and trained. They like to form powerful bonds with their families and are especially patient and protective over children. They’ll face down potential threats with bravery, and a natural intelligence helps them solve problems with creative ingenuity. 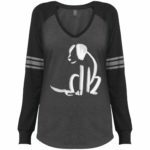 Your Boxer is more likely to defend the household with a menacing bark than a left hook, but their name had to come from somewhere. 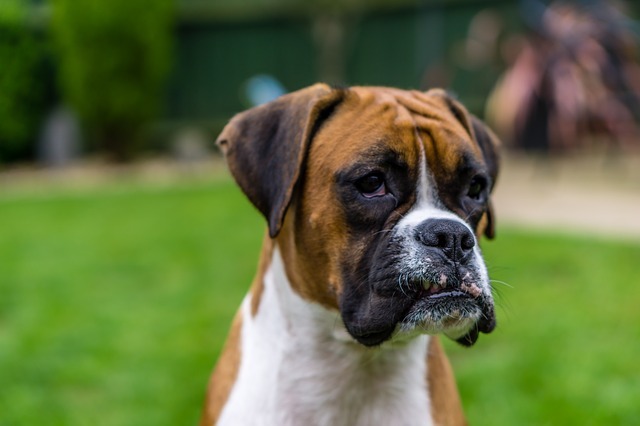 There are no official records about the origin of the name Boxer, but many people think it has something to do with the breed’s tendency to use their paws. They do something called “shadow boxing” where they sit back on their hind legs and extend their paws as if jabbing an opponent. 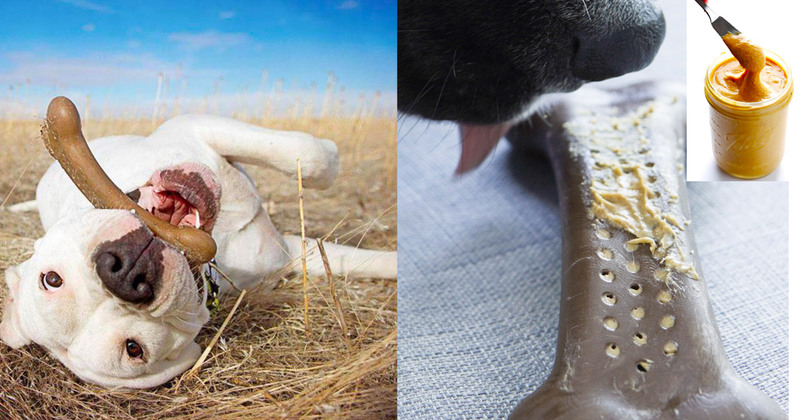 The second tallest dog breed on average, Great Danes are more likely to lick your face than attack an intruder. 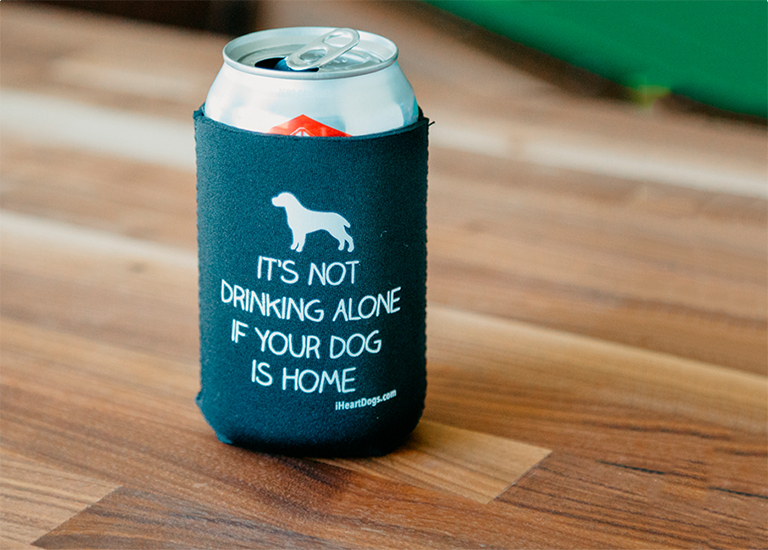 That doesn’t mean, however, they don’t make effective guard dogs. 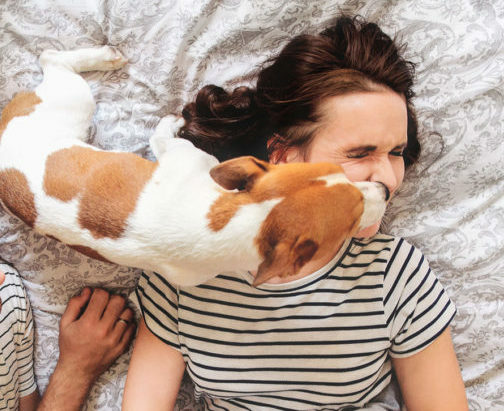 AKC describes them as “people pleasers.” They have a sweet nature that helps them make friends easily, and people are often attracted to the novelty of a dog that’s closer in size to a horse than other canines. 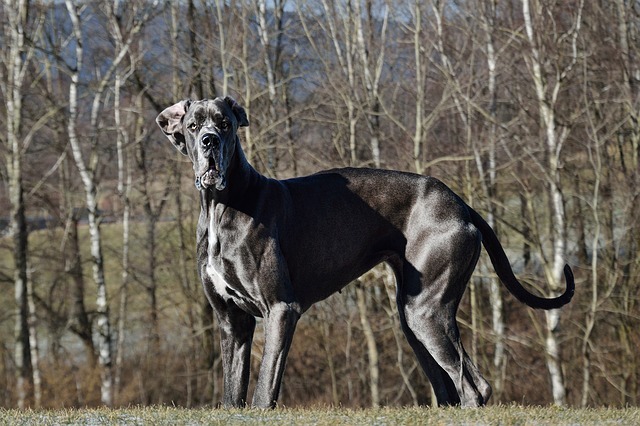 While they’re low energy and actually considered good apartment dogs despite their size, Great Danes have an alertness that comes in handy when guarding a property. In most cases, the mere sight of a 160-pound dog occupying a property is enough to send potential intruders running in the other direction. They have the advantage of doing their duty of guard dog with little effort on their part. If it comes down to a fight, however, Great Danes aren’t a breed to be taken advantage of. They’ll use their powerful bodies to defend what’s theirs when they need to. Great Danes are impressively large, but they’re not actually the tallest pups at the park. The Irish Wolfhound takes that title. Even so, the tallest dog ever on record is a Great Dane named Freddy. Standing seven feet and six inches tall when on his hind legs, this dog is taller than every other canine and even most NBA players. Believe it or not, he was the runt of his litter. Powerful and sturdy dogs, the Akita is part of the working group of dog breeds. They’ve taken on a number of jobs throughout history including tracking and hunting large game like boars and bears. Weighing in around 130 pounds, they’re not the type of dog to back down from a fight—even when it’s with an angry bear. They’re large and in charge, but they’re also known for having a noble look. Japanese royalty respected the dog’s appearance and skill, and they trained them as guard dogs to patrol palaces and protect important people. Luckily for you, you don’t need to be Japanese royalty if you want your Akita to be a good watch dog. The breed naturally stands up for itself and its family. They like to play and show affection toward people they know, but they’re not as welcoming toward strangers. 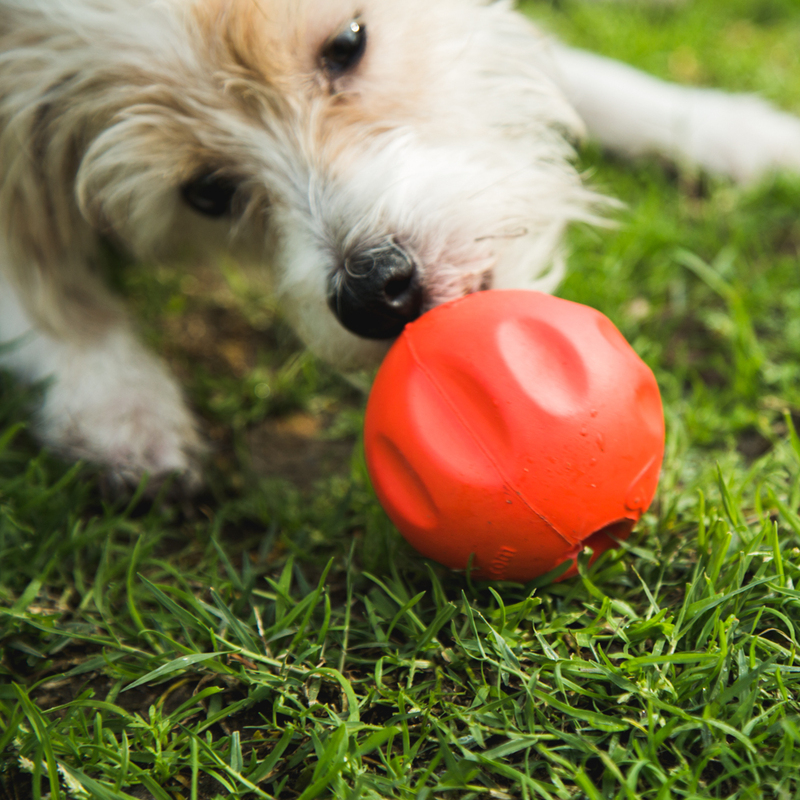 With both a strong body and personality, first-time dog owners often struggle to keep up. Akitas need people who are willing to exercise them on a daily basis and commit to proper training. The Akita is highly revered in Japan, and in 1931, the breed was officially declared one of the country’s national treasures. 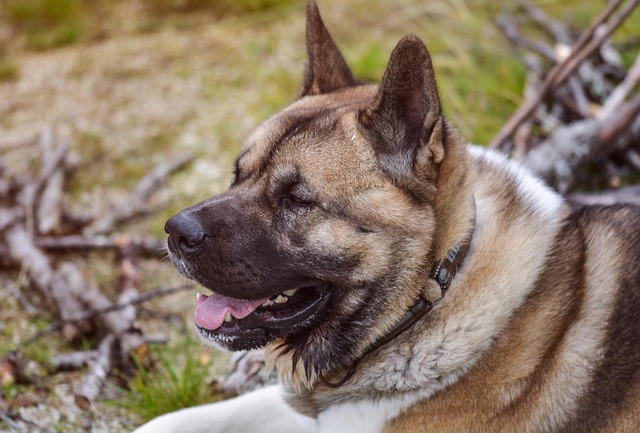 The breed’s bloodline was firmly guarded up until World War II, and it was considered a great honor when the first Akita entered the U.S as a gift to an acclaimed American. That American was Helen Keller. Rhodesian Ridgebacks were originally bred to fight lions, and warding off potential intruders is no challenge for this impressively built dog. They’re the great athletes of the dog world boasting enough endurance to run miles at a time, strength to bring down big game, and courage to face threats head-on. Ridgebacks love their families and make devoted family pets. Once a person proves they’re trustworthy, a Ridgeback will be reliably loyal and protective. They like to be independent and are occasionally stubborn, but when paired with the right person, they can also be naturally obedient. Training is something they enjoy, and learning to be a guard dog comes easily. Their speed will beat an intruder to the fence ten out of ten times, and their energy means they’re always on the job. While the Ridgeback has been recognized by the AKC as an official breed since 1955, it’s actually a mix of several other popular breeds. 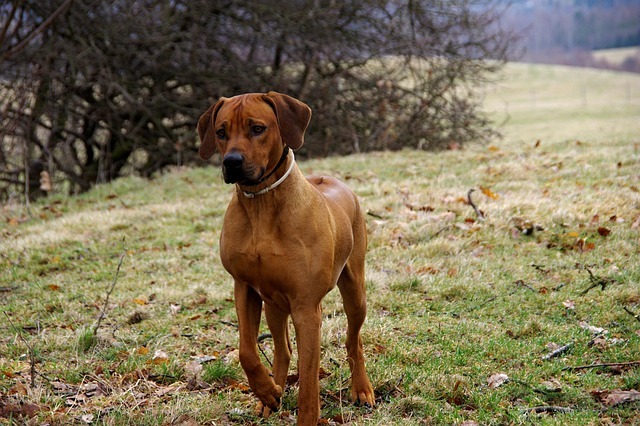 Native South Africans and European settlers worked together to combine Danes, Mastiffs, Greyhounds, Bloodhounds and the half-wild African native dogs to create the Rhodesian Ridgeback. They needed all the best qualities of those breeds to make a dog capable of surviving the landscape and bringing down dangerous game. 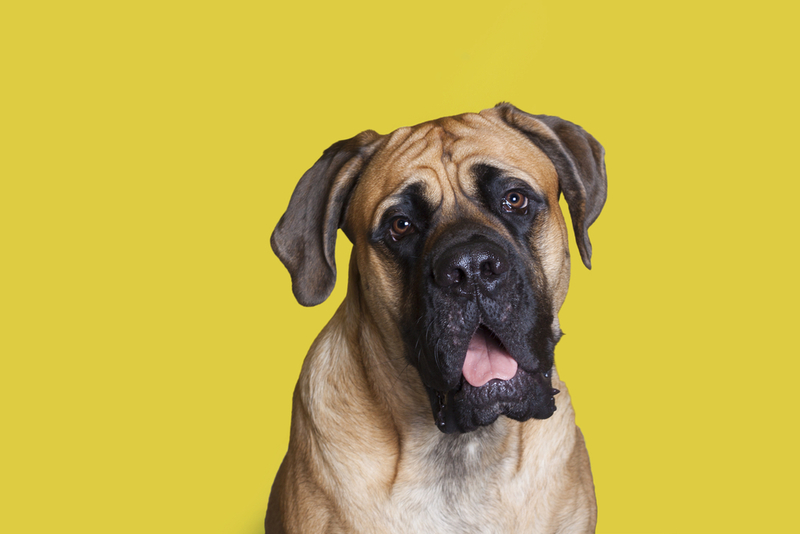 The big and intimidating Bullmastiff is a softy when it comes to his family, but strangers should be aware. They were bred by 19th century English aristocracy as a solution to a poaching problem. Gamekeepers needed dogs strong enough and brave enough to stand up to armed poachers with nothing to lose. 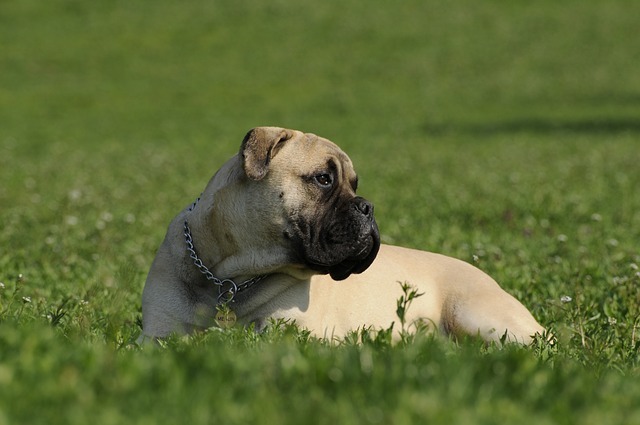 The Bullmastiff fit the bill, and today they’re family pets that come with the added benefit of loyal protection. All an intruder needs to do is look at a Bullmastiff to know they’re in for a fight they can’t win. They weigh up to 130 pounds, and their well-muscled torso carries a lot of force and power. They’ve also got a deep bark, but they rarely use their voice. They were originally trained to prowl their territory without scaring away the intruders. Instead of barking and biting, they chase down their prey and pin them to the ground while waiting for their handler to catch up. Today’s celebrities have taken after the traditional English aristocracy in their love of these big dogs. Kirstie Alley, Christina Aguilera, Dwayne Johnson, and Vin Diesel are all known Mastiff lovers. They fit in with Hollywood stars, and some are even stars themselves. Sylvester Stallone used his own dog for “Rocky” and a Bullmastiff named Swagger is the official mascot for the Cleveland Browns. He does his own interviews and everything. There are a lot of reasons why the German Shepherd Dog has consistently been the second most popular dog breed in the country. They’re strong, smart, and full of personality. 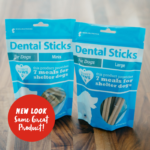 They’re valued as both family companions and professional working K9s. 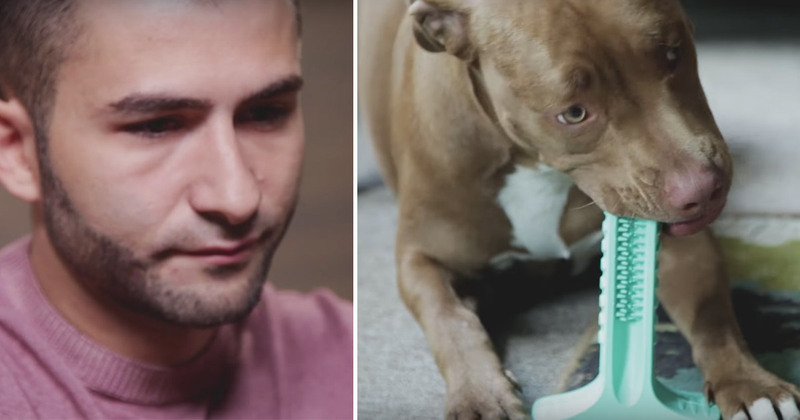 From cuddling on the couch to taking down bad guys, there are few things these dogs can’t do. 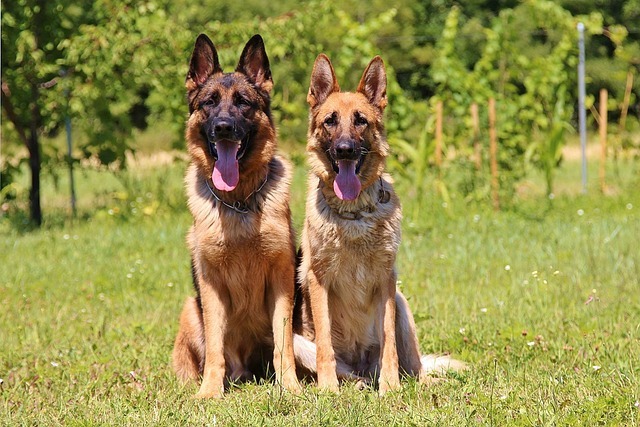 German Shepherds excel in obedience partly because of the strong bonds they form with their owners. 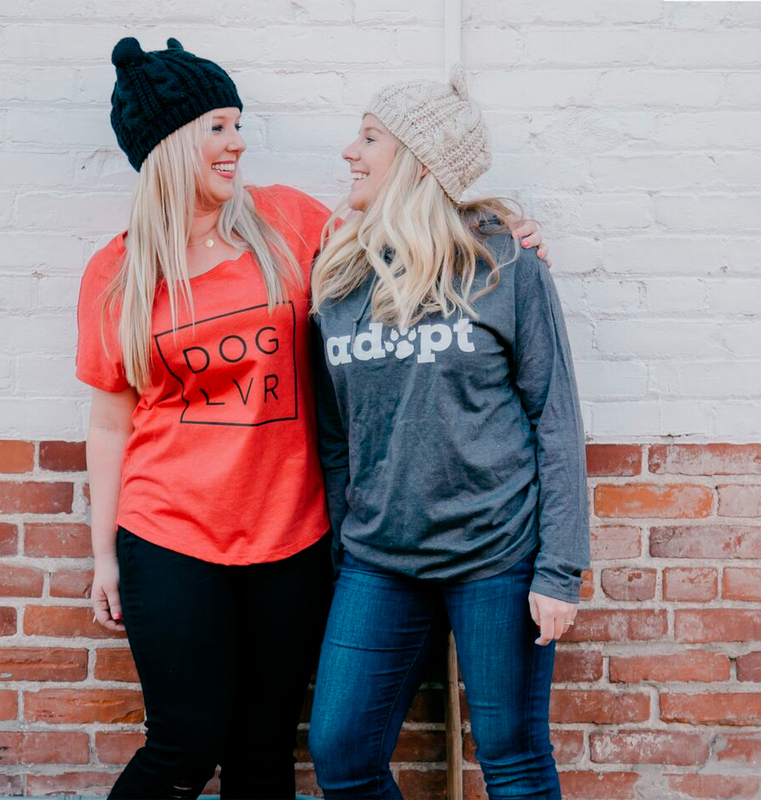 They’re nicknamed a “dog lover’s dog” because they get along with most people—with the exception, of course, of people trying to do their family harm. They have a threatening appearance, and when they want to, they know how to play both defense and offense. A German Shepherd’s skill at protection is so renowned, it even inspired the creation of a protection-based canine competition. Schutzhund is a German word meaning “protection dog,” and it’s a canine sport that focuses on three areas of skill development: obedience, tracking, and protection. From driving cattle to market to serving in the military, Rottweilers have been trained by people for generations to do a number of different tasks. They’re large, well-muscled dogs that can be threatening if you’ve never seen one try to climb their way into a lap much too small for them. Menacing on the outside but soft on the inside, Rotties love their families above all else. Most are even welcoming of strangers, but being trained in protection gives them a wary eye for anyone with suspicious motives. It’s in a Rottweilers nature to protect their family from possible threats, and additional training helps mold them into confident guard dogs. This instinct is part of what makes them one of the most popular breeds chosen for guard dog training. 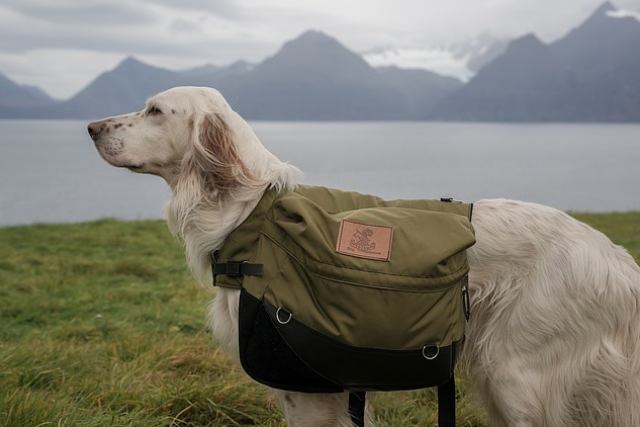 A confident guard dog will bark at people approaching their property, but they’re able to discern for themselves whether or not the person is a threat. If it’s the neighbor coming to say hello, a properly trained Rottweiler will drop the intimidation act and revert back to loving, yet alert, family pet. 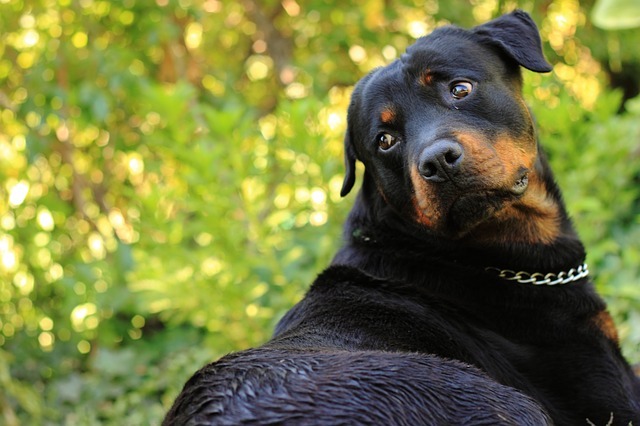 Despite the fact Rottweilers make great family pets, people with bad intentions have taken advantage of the breed’s strength and protective personality. They train them to be overly aggressive, and this has given the entire breed a bad reputation. Rottweilers are banned in many housing units, and there are several cities that enforce strict “no Rottweiler” policies. 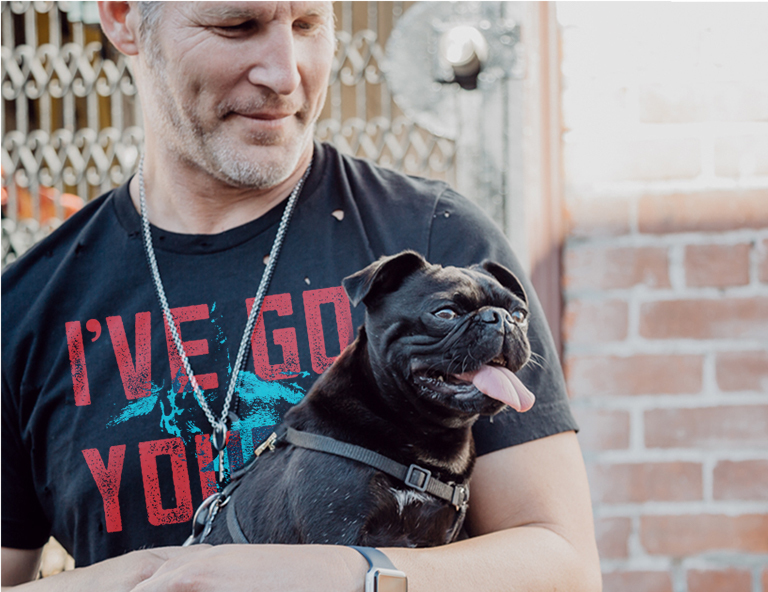 The unfair stereotype is hurting thousands of dogs, and it’s every Rottie owner’s responsibility to properly train and socialize their dogs to prove they’re nothing to be afraid of. There’s something about a Doberman’s glistening coat, chiseled facial features, and well-muscled body that would make them effective guard dogs even without their instinctual personality traits. 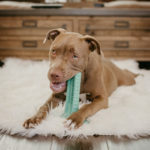 Their mere appearance is enough to warn off intruders, but they couple a fierce presentation with natural obedience and protective instinct to be the top dog when it comes to family protection. 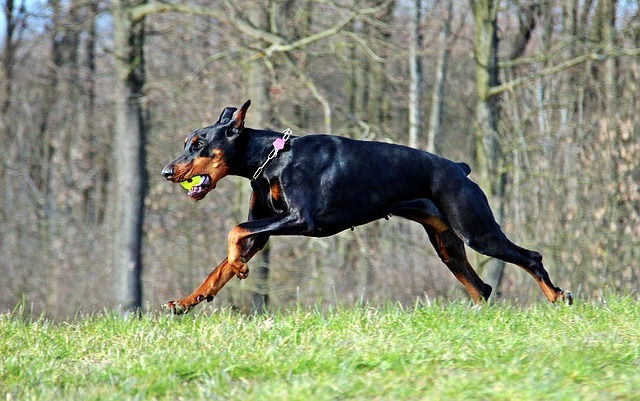 Regular training is essential to put a Doberman on a successful path to becoming a good guard dog. They’re highly intelligent, and they need consistent mental stimulation to keep them from being destructive. With the right kind of guard dog training, a Doberman will learn to use their natural alertness to identify potential threats. They have the mental capacity to analyze situations and act accordingly based on what they’re trained to do. And when they’re off the clock, they’re playful and fun dogs to be around. The Doberman breed dates as far back as the 1890’s, and the Dobies of today aren’t the same dogs they were back then. A tax collector named Louis Dobermann created the Doberman breed because he needed a loyal companion that would protect him during his perilous trips to collect people’s money. He needed the dog to be somewhat aggressive, and he bred for that specific character trait. Now, however, lovers of the breed are moving away from aggression and are breeding dogs to be more loving and affectionate. Your image of a Doberman may be as a formidable weapon, but they’re actually sweeter than ever before. If you’re planning to adopt a dog in hopes of them being a great family protector, any one of these breeds will be happy to take on the job. Remember training and socialization are key to having both a loving family member and an excellent guard dog.